Over the course of the last two plus millennia with every new year people around the world have used the occasion to allow themselves an opportunity for introspection, with the goal of betterment. This practice of making New Year’s resolutions began in Rome in pre-Christian times, around 62 BC during the rule of Julius Caesar. 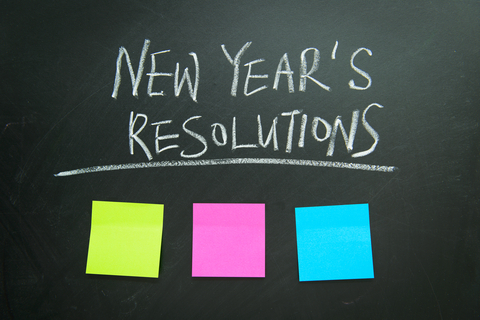 In the early days of this tradition, individuals made resolutions with a moral flavor, such as promising to “be good to others.” Over time, the nature of these annual resolutions evolved to include pledges of self-improvement whether in the context of an individual’s physical of fiscal health, personal and or professional relationships and or the manner in which they conducted themselves in society. So in the spirit of business morality and betterment, we wanted to share a few thoughts on resolutions that we believe would bolster client-agency relations, improve an advertiser’s return on marketing investment and allow marketing to more fully support their organization’s enterprise accountability initiatives. Clearly communicate expectations to each of our marketing agency partners as it relates to desired marketplace outcomes, agency performance, rules of engagement and how those results will be monitored and measured. Establish channels and guidelines for timely, open and honest two-way communications between the organization and each of our agency partners. Enhance processes and adapt reporting that will improve the organization’s visibility into the disposition of our marketing investment at each stage of the planning, production, investment and reconciliation cycles. Gain greater clarity into the level of savings, discounts, rebates and activity based incentives that are available to our organization from our agency and each and every third party vendor. Be aware of the contractual terms and conditions governing our agency relationships and periodically review each agency’s compliance to those terms to improve our governance of those relationships. Invite peer level cross-functional reviews of the financial management of the organization’s marketing spend, including marketing, finance, procurement and internal audit. Identify opportunities to reduce both the time and expense associated with our estimated billing process, lowering A/ P expense and increasing interest income opportunities for the organization. Consider utilizing independent specialists to assist in the agency contract compliance and performance aspect of our media, creative and specialty agency partners to identify “Best Practice” tools and methodologies that can reduce waste and improve controls. Best wishes for a successful New Year!